Italy started its Euro 2020 qualification campaign in style as Nicolo Barella and Moise Kean scored their first international goals in a 2-0 victory over Finland. Having failed to qualify for the 2018 FIFA World Cup and put in a lacklustre showing in the UEFA Nations League, Italy was in need of a win to kick off its Group J campaign on a positive note. It was ahead early on in Udine when Cagliari youngster Barella, one of several fresh faces introduced under Roberto Mancini, hammered home from the edge of the box. Teemu Pukki squandered a gilt-edged chance to restore parity midway through the second half, and Finland was made to pay for that miss when Juventus teenager Kean slotted in to make sure of the points. Mancini's calls for his side to be more clinical were answered inside seven minutes, Barella's thunderous strike finding the bottom-right corner with the aid of a wicked deflection. Italy almost threw away its lead eight minutes later, presenting Robin Lod with acres of space to run into, but he failed to trouble Gianluigi Donnarumma. Sauli Vaisanen's clumsy challenge on Federico Bernardeschi should have resulted in an Italy penalty before the break, but referee Orel Grinfeld dismissed the claims. Pukki should have hauled Finland level after the hour, but the in-form Norwich City striker drilled wide from Lod's pinpoint cross. 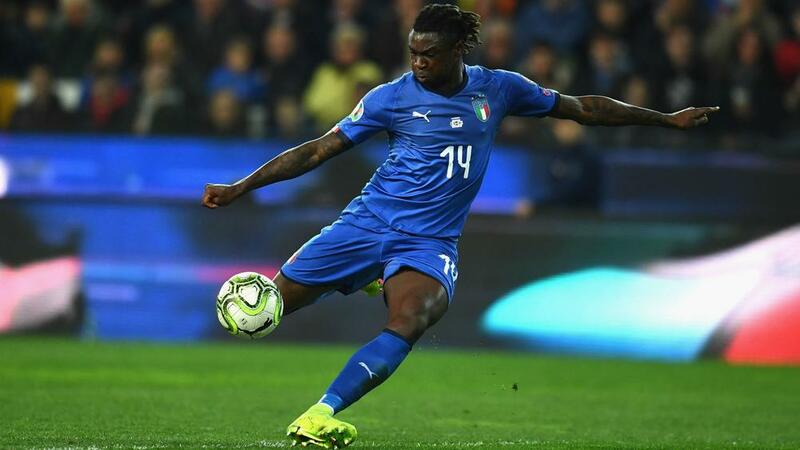 Italy soon made its good fortune count, Kean rushing through before sending a low finish past the onrushing Lukas Hradecky to wrap up the win in style, with substitute Fabio Quagliarella hitting the crossbar late on.